For many people today, an unexpected financial emergency can cause untold stress and worry. Perhaps it is an unplanned car repair, an unforeseen medical expense, or some other short-term monetary need. Whatever the circumstances, if you are living on a tight budget and have no real savings to fall back on, trying to pay a bill of $50 or $100 can seem next to impossible. Now there is hope, help is on the way. If you are inquiring about existing loans, loan applications, terms, repayments, renewals, you must contact your lender as we will not be able to provide any of this information. Thank you for choosing our website, please contact us below should you have any questions regarding our service. Cashloan.org is not a lender. We attempt to match every loan applicant with a lender but approval is not guaranteed. 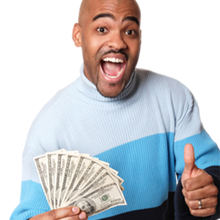 Cashloan.org does not play any role in the approval process, does not enforce payment and does not have any influence on any loan decision.